QUINHAGAK — Expensive fishing nets sit on the hardware store shelves, unsold. Families struggle to buy baby diapers, back-to-school clothes and gasoline for boats that take them to favorite berry-picking spots. Some people have seen their water cut off for lack of payment. Normal life is being upended in Quinhagak, a Southwest Alaska fishing village with no fishing this year for the commercial fleet. Skiffs are ready, kings were plentiful, silvers are starting to show up and brokers from the Seattle area who flew to the village say markets are eager for wild Alaska salmon. Frustrated fishermen and village leaders say the problem is their region's community development nonprofit, which they say provides high salaries for executives and generous stipends for board members but no extra relief for this new stress in what's already one of the poorest parts of the United States. 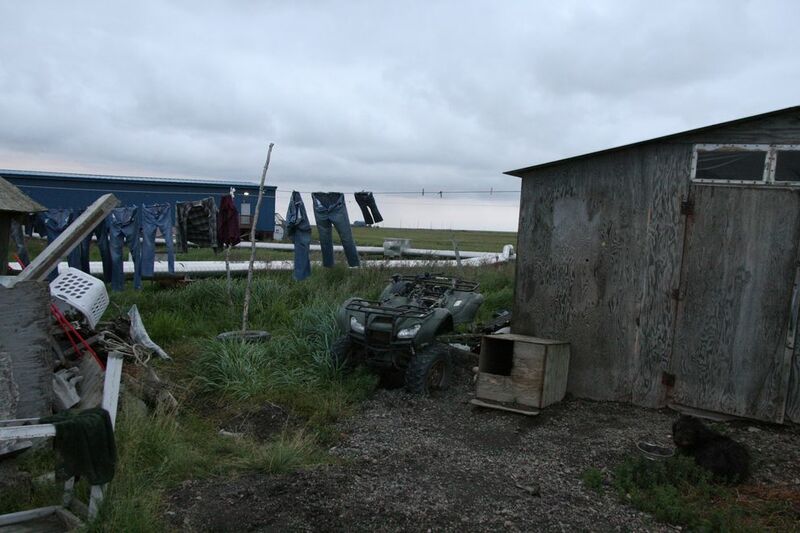 Coastal Villages Region Fund this year suspended all of its Kuskokwim-area fish processing and buying, saying the operation was losing more than $6 million a year. It mothballed its salmon processing plant in the village of Platinum, closed down its Quinhagak fish station and has refused to lease dockside equipment such as icemakers and deck cranes to a Seattle buyer. Earlier, it closed its halibut processing plants in the region. "They left us with nothing," said Frank Hill, 44, who had worked as dock supervisor for Coastal Villages. "It's hard when you have five kids to take care of." On the dock, he worked long days making sure the fish were bled and iced correctly, making $24,000 to $29,000 a season. That is real money in a village with few opportunities — there's not even a construction project underway this summer — and provided enough to cover bills for a good stretch of the year. He says he's lucky to have landed a temporary maintenance job with his village corporation. King, red and chum salmon already returned in high numbers and silvers have started to churn the waters — a few weeks early, residents say. No one knows for sure how many. A state-run counting station at a weir on the Kanektok River where many of the area's salmon spawn isn't running this year. Coastal Villages stopped paying for it. "Right now I'm restless," said Jimmy Anaver, 80, who hoped to work as a deckhand this season. He's been a commercial fisherman for more than 50 years, much of that in Bristol Bay but also out of Quinhagak, where he lives. "See, there's fish down there in the river and down in the ocean, every day boiling all over." 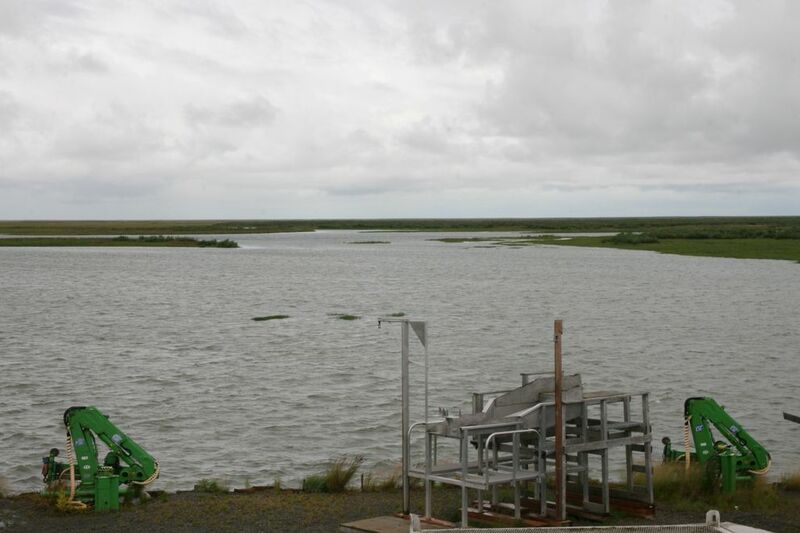 The village, a mile from the Bering Sea on the Kanektok River, is home to about 700 people — and 80 of them have commercial fishing permits. Tribal police sirens sound each night at 10 p.m. and again at 11 p.m. to signal curfews for kids. Wealthy sportfishermen pass through on their way to guided $5,000 excursions but don't spend money in town. When someone spots a brown bear — drawn by smokehouses or drying racks — village residents mobilize with rifles. Coastal Villages is one of six Alaska community development quota, or CDQ, groups. They are nonprofits with money-making arms created in the 1990s under federal law to boost the Western Alaska economy. Each is assigned a share of high-value, high-seas fisheries of crab, pollock, halibut and cod and are supposed to reinvest profits in their regions through scholarships and youth-work programs, subsidized small-scale commercial fisheries, loans and other services. Coastal Villages did that, the organization's leaders say, but the commercial salmon operation was heavily subsidized. That skewed benefits toward one village, Quinhagak, with its high concentration of fishermen, said Morgen Crow, Coastal Villages Region Fund executive director. In the interest of fairness, the Coastal Villages board decided in early May to shut down the operation for this season and might do the same next year, he said. Asked if he saw the closure as a hardship, Crow said: "I consider it a change in benefit delivery." Disappointment about the loss of fishing is understandable, he said. People are grieving. State managers say it's the first time without commercial fishing in the area since statehood. "It percolates all through the economy there," Crow said. "That makes for a terrible feeling when it goes away." But the shutdown ensures that other perks continue in villages throughout the region, he said, such as Quinhagak's internet cafe and youth-to-work program, a mechanic shop where locals can hire a welder or rent space for do-it-yourself work, subsidies for heating fuel and for big purchases like boats and motors. Board members wrestled with the issue and considered the consequences, said Darren Cleveland, Quinhagak's representative on the board. "It was a very hard decision. It took us about six months or more to get all the information and that's what it came down to," said Cleveland, 29, who used to fish in Bristol Bay but hasn't for several years. He said he supported the board decision, though didn't dispute that members were split. "I'm sorry that I'm a board mem– that this happened while I am a board member," said Cleveland. "You have to protect your organization in the long run." 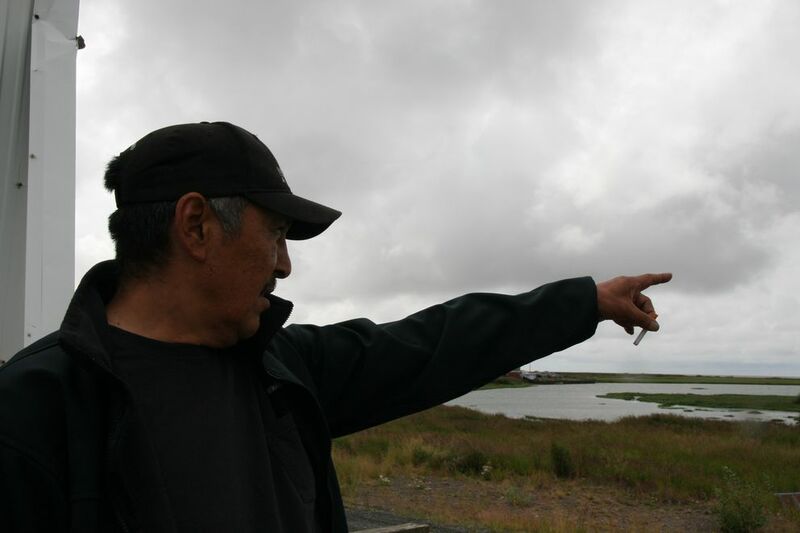 Coastal Villages says it spends $25 million to $30 million a year to benefit its 20 villages, spread from Scammon Bay to Platinum on the coast, Kuskokwim River villages from Eek near the mouth to Napaskiak, and the villages of Nunivak and Nelson islands. Fishermen from other villages say the economic harm stretches to them too. William Igkurak, a fisherman from Kwigillingok, said he is behind on payments for a boat motor that he bought through Coastal Villages' People Propel program, which covers 40 percent of the cost. Igkurak, 66, made one payment this year with his Social Security money and doesn't want to lose the outboard. "My motor is my food," he said. In Quinhagak, the situation is approaching a disaster. 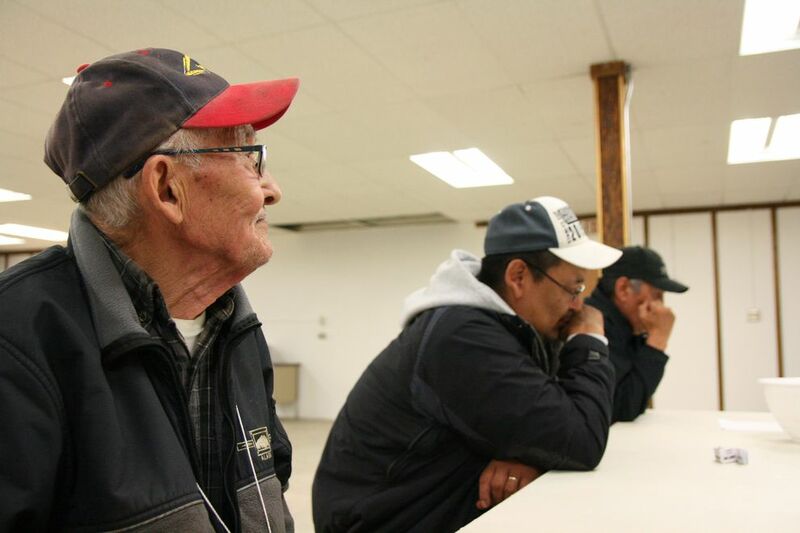 Anaver, the longtime commercial fisherman, said his neighbors in Quinhagak — another fishing family — already have had their water cut off for lack of payment. He shares his water with them, he said. Timothy "Johnny-boy" Matthew said he is almost $500 behind on his water and sewer bill and expects to be cut off any day. "I've got no way to pay for it," he said. He has two daughters, one in school, but can't afford school clothes. His 2-year-old is still in diapers. "I can't even get Pampers right now," Matthew said. "I just used my last few dollars on what we need." Susan Brown, who can bring in $15,000 during a fishing season, said the family usually shops in Anchorage for school clothes. "Not this year," she said. Henry Jones Jr., who has fished commercially for as long as he can remember, sold an old river boat for $500 to pay off his charge at the village store, just so he could afford gas for berry picking. He still owes $3,000 for his fishing boat motor, plus another $1,300 to Coastal Villages for a loan to repair an older motor that then failed again. 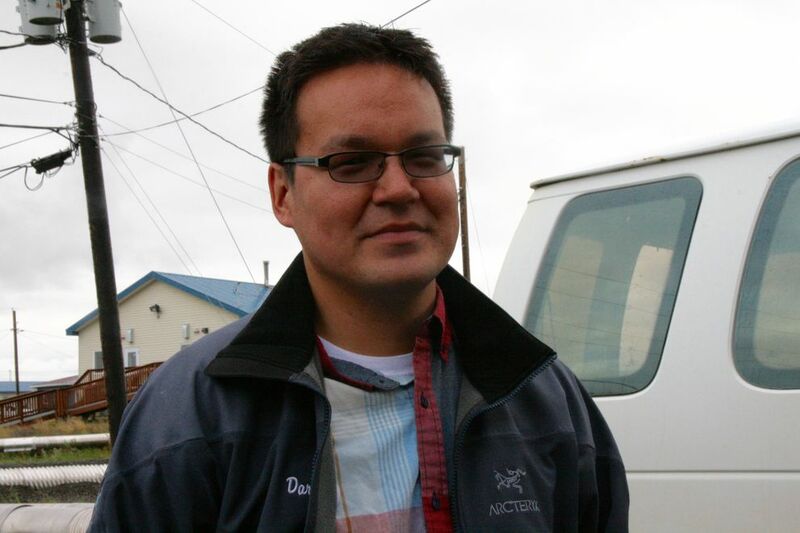 Warren Jones, president of Qanirtuuq Inc., the village corporation that runs the local stores, said he is extending credit and hiring fishermen as much as he can even though sales are way down. State Rep. Bob Herron, a Democrat from Bethel, made a campaign stop in Quinhagak last week. Residents mostly wanted to talk about the fishing closure, he said. He is asking the administration of Gov. Bill Walker to consider declaring an economic disaster. Also last week, Crow, some Coastal Villages board members and seafood program general manager Nick Souza took a chartered flight to Quinhagak for a sitdown with fishermen and village leaders. Crow's view of what was accomplished differs from that of residents. "Very successful meeting there," Crow said. "I'm happy to bring understanding and unity back to the community." Residents said the group hurried through the hastily called, hourlong meeting, then rushed off to get to the village of Scammon Bay for a funeral. 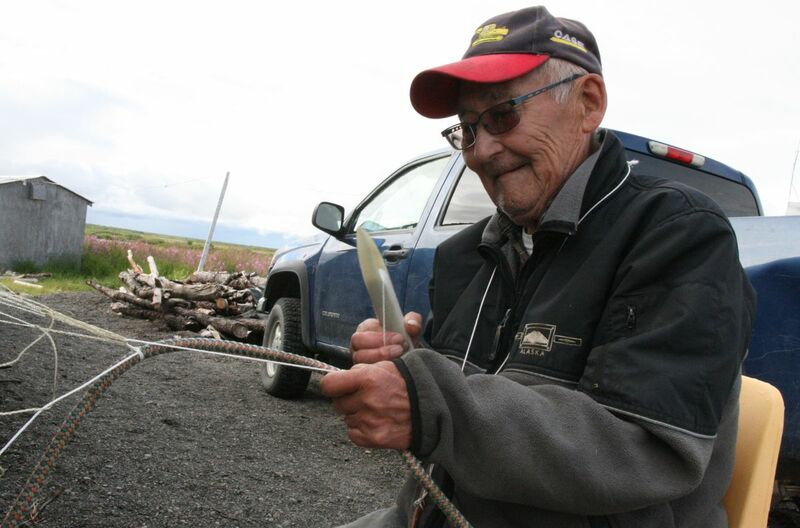 They wanted help from Crow and Coastal Villages — "not just come out here and give us a lecture," said James Merritt, another longtime fisherman with experience in the Goodnews Bay and Quinhagak fishing districts. "He seems to be more ready to challenge what we are trying to say to him, come up with this and that," Merritt said of Crow. "I don't think it's fair for the people out here, while they are making a big salary, having a good time flying around with their charters. They should be putting more effort into trying to help us out here." Crow wouldn't reveal his current salary but publicly available reports to the IRS show that his salary in 2014, the most recent year available, was $475,000, more than double what any of the top executives at the other five CDQ groups made. Some recent years he has made more than $800,000, counting bonuses. Nine other Coastal Villages managers and executives made more than $200,000 and two of them, besides Crow, topped $300,000, according to the 2014 IRS filing. With its own Bering Sea fleet for pollock, crab and cod, Coastal Villages says it is in a class by itself, not comparable to the other CDQ groups. It calls itself the largest seafood company headquartered in Alaska. Fishermen say they made $10,000 to $40,000 a year — and counted on that money. "Finally we spoke out," said Hill, the former dockside supervisor. Fishermen shouldn't have been surprised by the lost season, Crow said. "To pretend it was not seen coming is absurd." But residents and fishermen say they had no idea. "The baddest part — they didn't tell anybody," said Grace Hill, a former mayor who serves as chairwoman of Qanirtuuq Inc. Frank is her son. A Facebook group of Coastal Villages fishermen first anticipated trouble with Coastal Villages' fish buying operation in April. With warning, fishermen say, they might have been able to arrange for another buyer ahead of time. After a news report in June about the fishing closure, representatives of a Seattle-area fish buyer and broker, Northwest Seafood Exchange, mobilized to buy salmon from the Quinhagak area. Two flew to the village and spent a couple of days there. Coastal Villages told them they couldn't lease its $40 million salmon plant in Platinum or even the ice machines and hydraulic deck cranes in Quinhagak needed to move and pack fish for shipping, said Jason Lake of Northwest Seafood. "Coastal Villages has control of everything," he said. It's too late to arrange for their own equipment this year, he said. Quinhagak board representative Cleveland said the Seattle-area brokers weren't prepared and he found their manner off-putting. Coastal Villages won't lease equipment to an unfamiliar player, Crow said. The organization may want to use it again, or sell it. "For those two reasons, I don't want them to touch our equipment," Crow said. "I'm going to want that equipment in tip-top shape." Frank Hill, who worked years as the dock supervisor, noted that trained locals were ready to handle the fish, just as they did for Coastal Villages. They sorted fish by species, ensured the massive ice machines were running and packed salmon in ice for the nine-hour trip by tender down to the Platinum salmon plant, he said. "If there weren't adequate people here, why did they have me working for them for so many years?" Hill said. Coastal Villages used to run a salmon and halibut processing plant in Quinhagak, but shut it down when it opened its Platinum plant. Now Platinum is closed too. Jones, the village corporation president, used to manage the Quinhagak fish plant. A place that was bustling with shifts around the clock is quiet, a deteriorating structure locked tight and unused except for storage by the tribe. Jones, who repurposes old buildings all around town for the corporation, sees potential in the old plant still. He pointed past the abandoned dock toward the Kanektok River. In other years, "there would be 200 boats out there," he said.